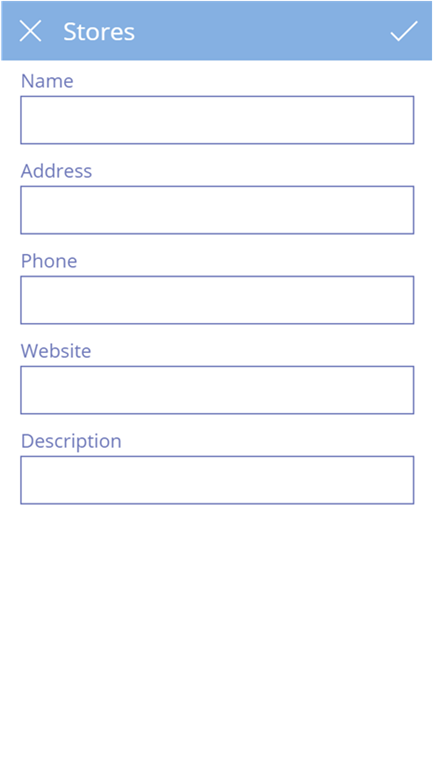 As you may already know, PowerApps provides offline capabilities for your applications to enable users to be productive when there is limited internet access or no connectivity. Here is a blog which talks about basic implementation details for offline capabilities in your app. The current tutorial provides deeper context on how to build these offline capabilities along with relational data (master and child) in your PowerApps application. 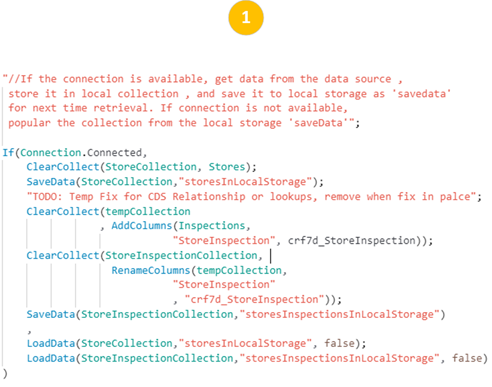 This tutorial assumes that you already know the offline concepts of PowerApps like SaveData, LoadData functions and Connection signal object. We'll will use all these concepts in this tutorial . 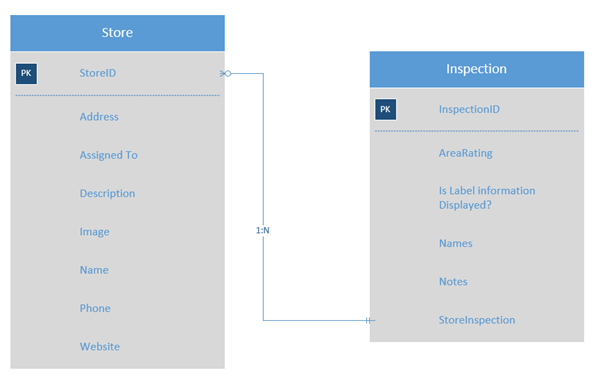 For this tutorial , let’s assume we have to build a simple Store Inspection App. For existing stores, new inspections(Screen 3) should be prepopulated with latest inspection data (sorted by created data) in both offline and online mode. Note: You can find the finished sample msapp file(for code reference) over here. For this app, I used CDS (Common Data Service) as the data source. However same concepts will apply to any other data source like SharePoint, SQL etc. So to achieve above mentioned requirements, I have created 2 custom entities called Store and Inspection with 1 : n relationship ( I.e., one store can have multiple inspections) in CDS to capture Stores and related inspections data. First screen of this app is a List of Stores. So, on Start of the app, we’ll check for the internet connection using PowerApps built in operator “Connection”. 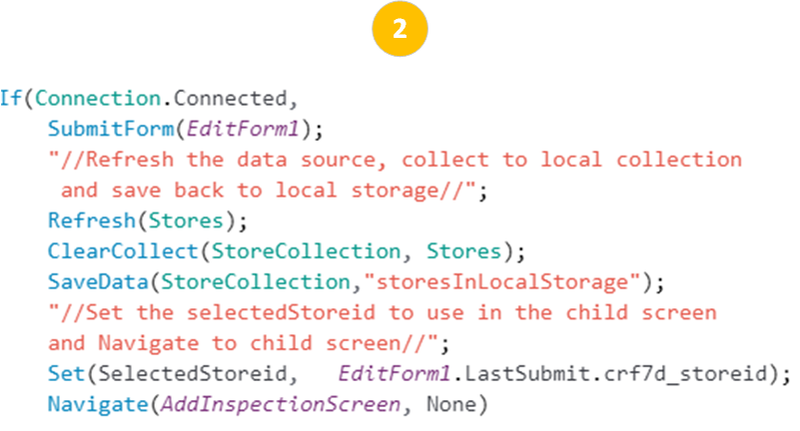 If internet connection is available, Populate both parent and child entities data “Stores”, “Inspections” into local collections “StoreCollection” and StoreInspectionCollection. Also, save it to the local storage (local caches) as “storesInLocalStorage”, “storesInspectionsInLocalStorage” so that we can use it as local cache when the internet connection is not available. 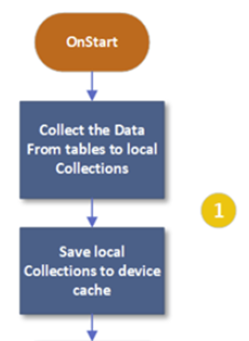 If internet connection is available, fetch the data from the database and put that in a collection and save this collection data to local storage of your device (local cache) so that we can use this cached data next time when the internet connection is not available. 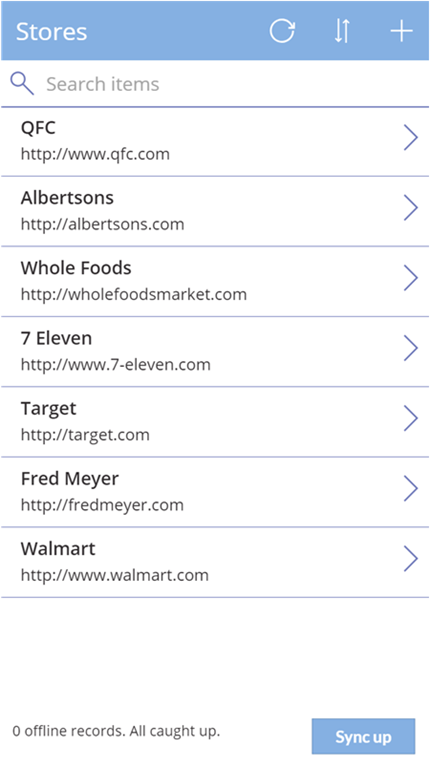 For adding new stores, add a new screen and insert an EditForm control with data source to Stores in that screen. Navigate to this screen on the press of plus sign from the first page. Set the SelectedStoreid variable to last submitted record id, so that it can be used in the child screen. Here, we need a unique id or GUID to carry on the parent child relationship. So, create a temp unique id for new parent record so that you can attach this id to child records for relationship tracking. 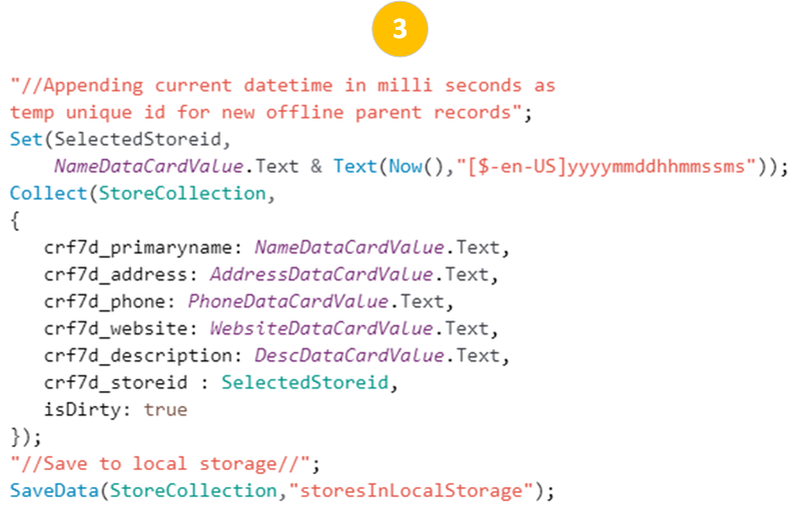 PowerApps does not have better way to generate GUIDs so I have used date time now in milliseconds as unique id, because it is almost not possible for the same user to create two records in a millisecond. You can use your own approaches to create this temp unique id’s. 4. Add a variable called isDirty= true to identify offline records while synch back to online. 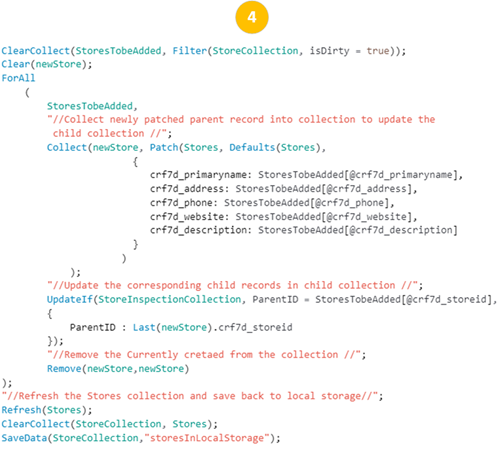 Use Collect function to collect all this details into master collection “StoreCollection” so that this offline record reflects on the Stores Screen. Now, let’s focus on how to save the inspections(Child) for stores, high-level approach for this is almost like Stores with fewer changes. 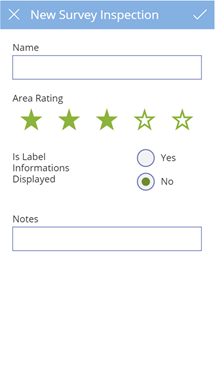 As we mentioned above in this tutorial , Inspection form would be prepopulated with latest/last inspection record (sorted by created date), So again we need to cover 2 scenarios here. For New store, there will be no inspection records and form will be new and for existing store, we will find the latest record using Last and Sort By functions and pass this record as parameter(LastSurveyOfStore) to inspection screen using Navigate function. 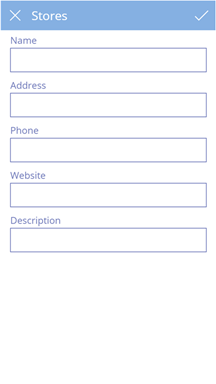 Submit the form so that new Inspection is directly saved to the database. Add a variable called ParentID and assign the SelectedStoreid (Which contains latest uniqueid in offline mode and last submitted record id in online mode). Use Collect function to collect all this details into child collection “StoreInspectionCollection” so that this offline record reflects on the Stores Screen. On the “StoreScreen”, Add a label at the bottom to show how many offline records are to be save to database (or, if all of them are saved, indicate so). This is done by filtering the count or rows in the collection using isDirty flag. Add a button for user intervention to save the offline records to database (We can also have timer that checks for the internet connection availability using the same Connection object which we used earlier for every given time interval). If the Connection is connected and button gets enabled and gives the opportunity to save the pending offline records. Our high- level approach would be first to patch the parent record and update the corresponding child records parentID with patched primary id and then patch the child records. 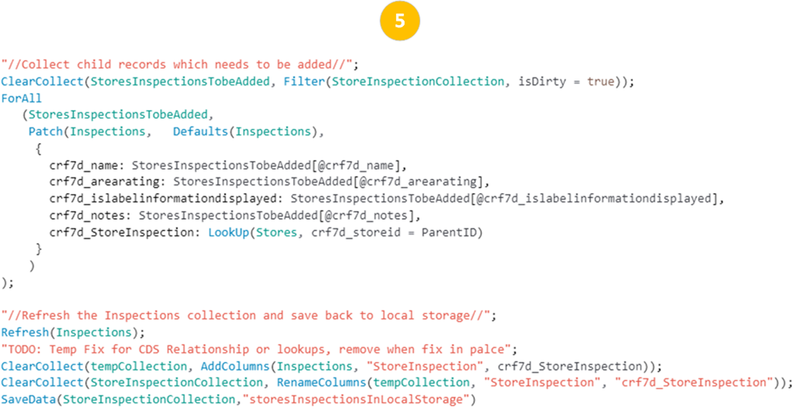 Filter the StoreCollection and StoreInspectionCollection for items that are added offline using isDirty flag and ClearCollect these items into new collections (“StoresTobeAdded”,” StoresInspectionsTobeAdded. 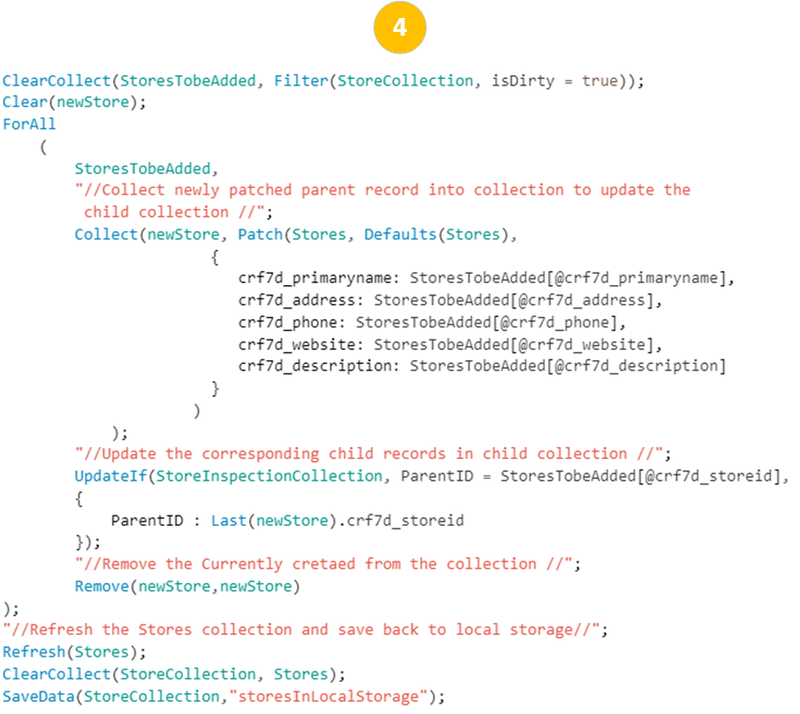 Use ForAll function to iterate each record of new Parent collection and patch each store(parent) record. 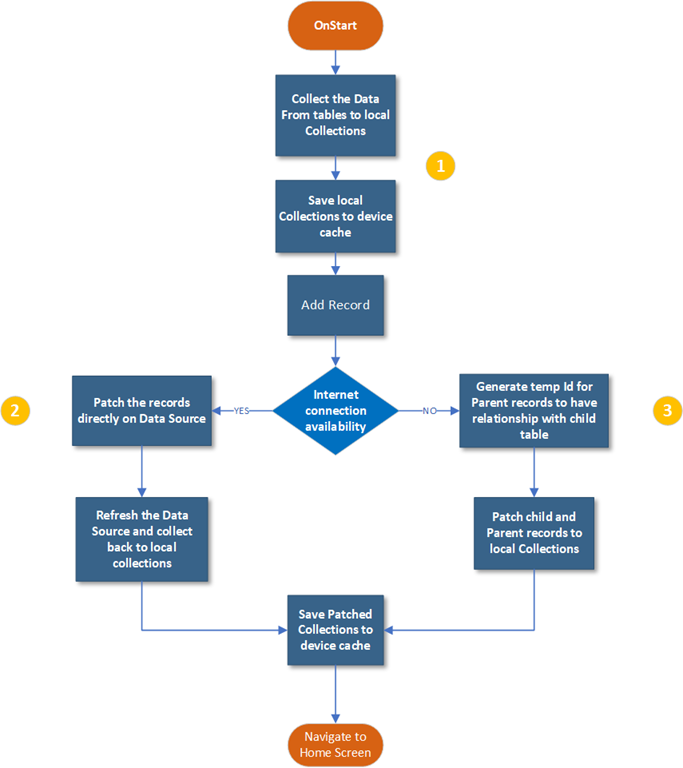 Collect this patched item into temp collection to access the primary id since PowerApps does not allow to declare a variable in ForAll to hold the patched item. Identify the children of patched parent record using ParentID variable in new child collection and Update the corresponding child records ParentID value with newly patched primary id. Now, it’s time to save the child records, Use ForAll function and Patch each child record. 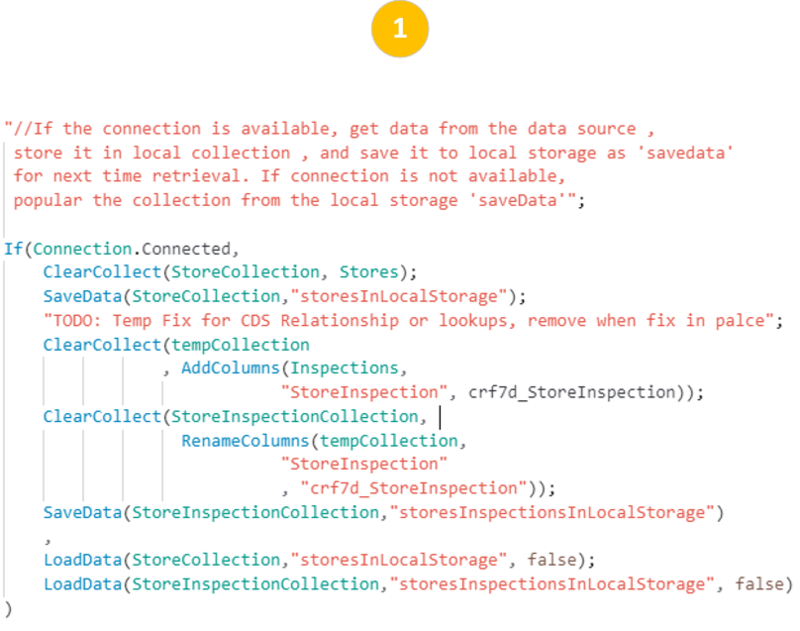 Hopefully, this tutorial gives you an idea of how to build offline capabilities with relational data in your application.